Jose Maria is a Professor of Ecology at the University of La Laguna. His research interests include Island Biogeography and Ecology, as well as Forest Dynamics (laurisilva, pine forest and thermophilous forest) and Palaeoecology (Vegetation and climate history of the LGM and Holocene in Macaronesia). A conservation biologist with more than 20 years of experience, Nathan Gregory is currently the Acting Director of Science and Stewardship at the Irvine Ranch National Natural Landmarks managed by the Irvine Ranch Conservancy (IRC), a non-profit, non-advocacy organization that works on behalf of multiple landowners to protect, restore, and enhance the natural resources of the wildlands in Orange County, California, USA. José Ramón Arévalo was born in Algeciras (Andalucía) and obtained his degree in Biology from the University of Málaga. After his graduation he moved to Canary Islands, to work in the former National Institute for Nature Conservation for two years. 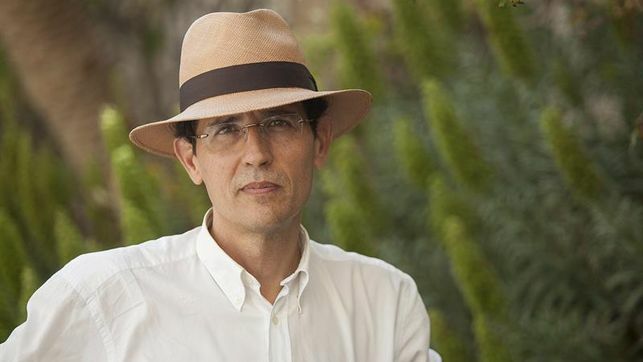 Since 2000, he has been lecturing at La Laguna University and has published more than 150 peer-reviewed papers and is author, coauthor or editor of 6 books, all of them centered in his field of expertise: Plant Ecology, centered in the impact of fire in the plant community, as well as the impact of grazing and invasive species in the ecological processes of the ecosystem. Kostas is a biogeographer with broad interests in island biogeography, macroecology, community ecology, evolution, and conservation biology. My research interests span diverse themes such as diversity theory, species-area relationship, scale in ecological and biogeographical analysis, ecological modelling and environmental heterogeneity. Mark is a senior lecturer in molecular microbiology at the University of Exeter and currently the Director of Education for Biosciences, leading programmes that cover diverse aspects of the subject from Biochemistry to Food Security. His main focus is to investigate fungal diseases of man that have assumed great significance in recent years due to changes in the demographic status of the human population, changes in the management practices for chronic health conditions, and the increased use of immunocompromising agents in medicine. His work primarily aims to further our understanding of stress and programmed cell death responses exhibited by fungi (in particular Candida albicans), but he is also interested in the interactions between fungi and other organisms that impacts on the development of community structure. Fungal biology is his passion, and in his spare time he leads local forays exploring the diversity of this important Kingdom. Mark is a recipient of the Berkeley award from the British Mycological Society recognising his outstanding original contributions in research on fungal biology. Claudia qualified in Panama in 1996 and worked from 1996 until 2014 as an independent consultant in environmental law and draftsman for different companies and governments in Latin America. She advised companies such as Coca Cola Panama, Nestle Panama, GDF Suez (Panama and Costa Rica) and local ministries such as the Ministry of Health, Ministry of Agriculture, Ministry of Environment, the Panama Canal Authority and the Maritime Authority in Panama. She is a member of the International Union for the Conservation of Nature (IUCN) andCaritas Think Tank Group in Jersey. Christoph is a plant ecologist and environmental scientist at HSR Rapperswil and ETH Zurich, Switzerland. His research focuses on biodiversity conservation in the Anthropocene and the impacts of anthropogenic factors such as climate change, biological invasions and urbanisation on ecosystems – especially on oceanic islands and in mountains. Trained as an environmental scientist, he has also extensive experience with performing inter- and transdisciplinary research on socioecological systems and sustainability. Sandra has a keen interest in research at the nexus of palaeoecology and biogeography and is fascinated by the range of ways the fossil record (especially fossil pollen), can inform us about the biological responses of organisms to their environment. She primarily focus my research on plants, but it is the ecological questions that drive me, rather than the particular taxa that I study. Her work takes a community level approach to help understand how resilient individual plant species and their assemblages are to environmental change.